In the industry, SPX/Power Team is incredibly acknowledged for their production of top-notch cylinders. The manufacturing company used the best of materials in order to create a well-rounded result. Their cylinders are rugged, high-end quality that’s built for lifting and pressing. The engineers at this point wanted to guarantee that their clients are getting the service that they highly deserve. In order for the cylinders to last long, they’ve made these cylinders to an aluminum bronze bearing. It helps to preserve the longevity of the product, specifically its wear and tear that’s triggered by off-center loads. It incorporates advanced innovation techniques to keep the quality even years after use. The springs are maximized sized, by doing so it speeds up piston return while stretching the spring’s life. Making up the exterior of the cylinder is solid steel, this has been done this way for the idea of durability together with its chrome plated piston. There are countless of accessories being made available to the market. This is to thread onto piston rod, collar, or onto cylinder base. Its usual mounting holes starts from 5 through 55-ton cylinders. However, it can go from seventy-five to a hundred ton. Diving into the area of Pump production, SPX/Power Team has once again topped the charts with its unbeatable quality. The engineers wanted to increase the production rate for the consumers while decreasing the actual cost. Additionally, it has extra valve assortments and remote “plug and play” control choices. Generally revolving on creating a wide range of high-pressure tool applications, the company has succeeded in constructing ways for cordless power to happen. These applications may be spreading, nut splitting and lifting, bending, cutting or crimping. It guarantees enough power to push through tedious tasks without compensating safety. 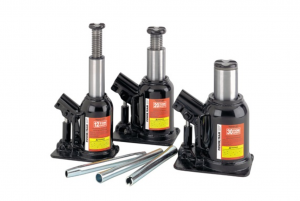 SPX/Power Team offers a number of available kits that includes jacks and torque wrenches for their consumers. Its application can be utilized for widespread lifting, shifting, and other needs for the position. Its versatility is purposely intended to certify that their customers are free to choose from different types and strokes. Guaranteed to solve their client’s concern in a heartbeat. Delivery and packaging are always on point. Wrapped in a durable, molded storage case for the safety of the equipment. These line of tools are one of the world’s best in the industry, promising years of consistent service for the people. IMS & DBH is a premier and leading company that has been in the industrial machine industry for more than 25 years. We continually offers quality brands, products, and services worldwide. We proudly offer world-class professional machining services along with pneumatic cylinder and valve products and services. Please call us! We would be happy to hear from you and we love to answer any questions you might have about our current products or services; industrial machine servicing; Spray Nozzles; Pneumatic Valves; Heavy Duty Coolers;Steel and Stainless Hydraulic Fittings; Cold Air Guns; Paint Booths and Systems; Air Logic Controls; Hose Reels; Hydraulic Pumps; Pneumatic Compressors; Specialty Welding; CNC Parts, and many more services than we can list.